It goes without saying that convenience and peace of mind are equally important when it comes to choosing a storage facility for your belongings. Whether you need to unclutter your office or put everything you own in temporary storage – you will find exactly what you need for a successful transition. In addition, when you choose to store with us you won't be faced with extra fees or deposits. Combined with our promotions, affordable moving boxes and supplies, we can help you stay within your budget too! Shop our selection of boxes, locks and other storing and moving supplies and then enjoy the feeling that comes with crossing one more item off your to do list. You can also enjoy a peace of mind knowing our Gale Creek storage facility is fully fenced with ample lighting. 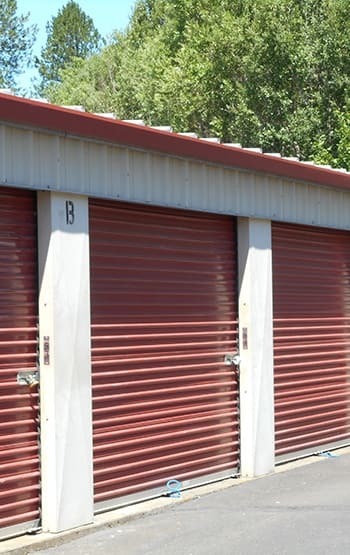 Electronic gate access and 24-hour camera surveillance around the entire property are two excellent reasons to chose our Forest Grove storage facility for your personal or business storage use. We offer a wide variety of storage unit sizes and prices in addition to that often hard to find storage for boats and RVs. View storage unit sizes available at B Street Self Storage.